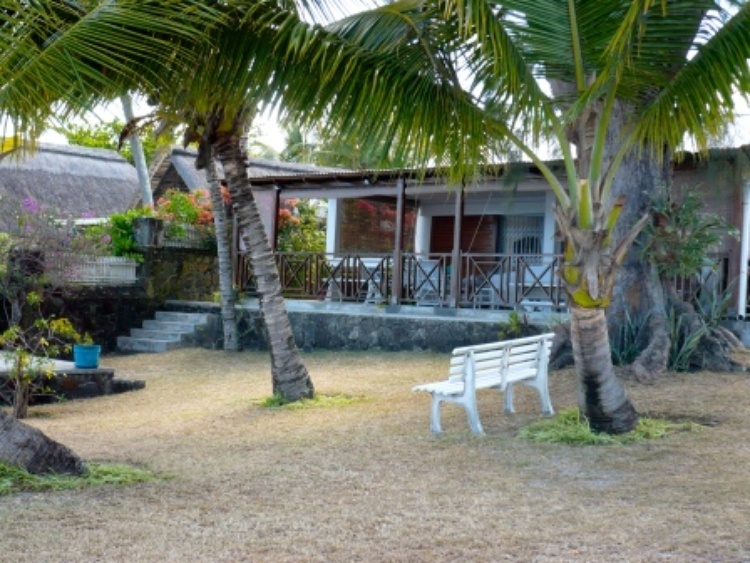 This affordable and self catering fully equipped bungalow is located on a secluded beach, which is on the breathtaking North Coast of Mauritius, between Merville Hotel and the Royal Palm Hotel. 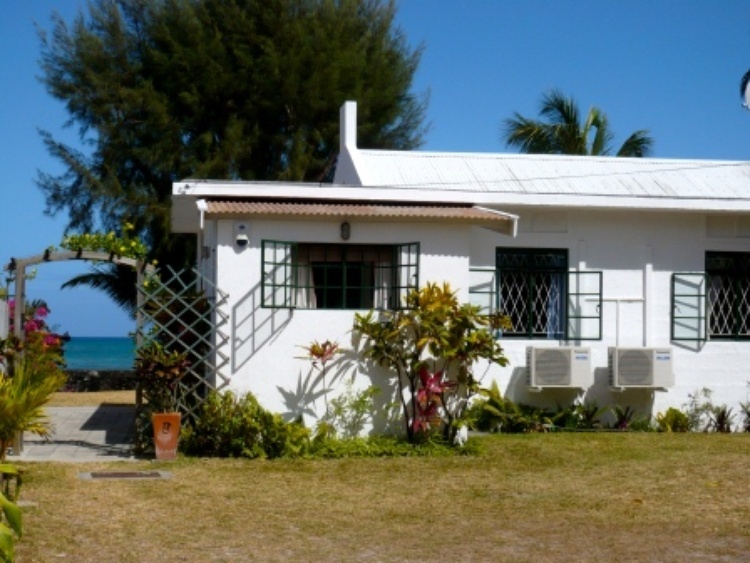 The bungalow which is situated within a lush tropical garden and just steps away from the warm turquoise waters of the Indian Ocean, is also within walking distance of the shopping facilities and many restuarants and bars of the trendy Grand Baie area. You can find Catamaran trips and deep sea fishing trips that are on offer from several tour opperators. The area of Grand Baie is sheltered by barriers of coral reefs forming natural, safe, crystal waters so children and adults are able to enjoy the sea feeling safe. 00000, India and Indian Ocean, Mauritius, Pamplemousses ,Grand Baie. 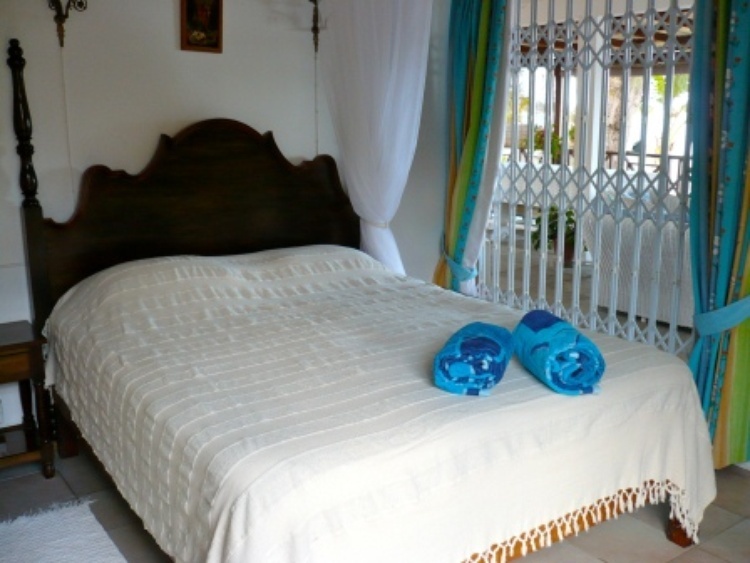 The villa is fully equipped with all what is important for a beach life. 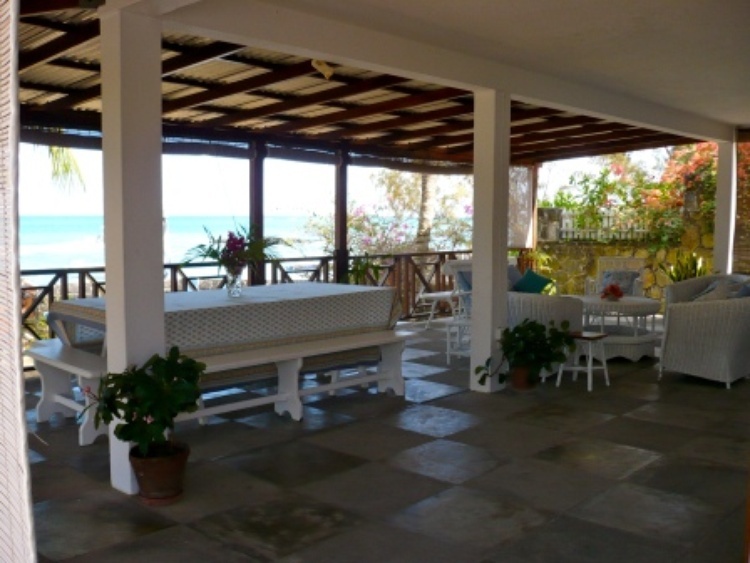 On the spacious terrace with a beautiful sea view you can enjoy your meals and the garden offers enough space to be on your own to read a book and for the children, an undisturbed play is possible. The property is secured by a stone wall and the access to the beach is closed by a small gate. 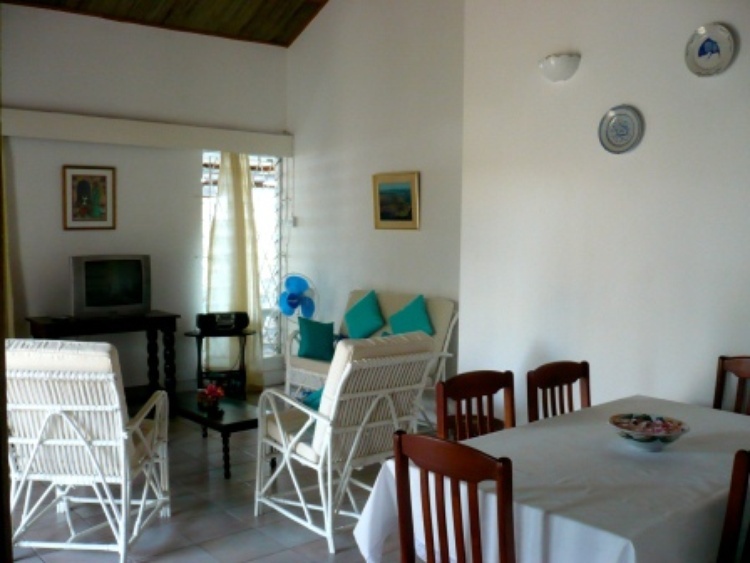 All 3 bedrooms are air-conditioned and the master bedroom with integrated bath and toilet. 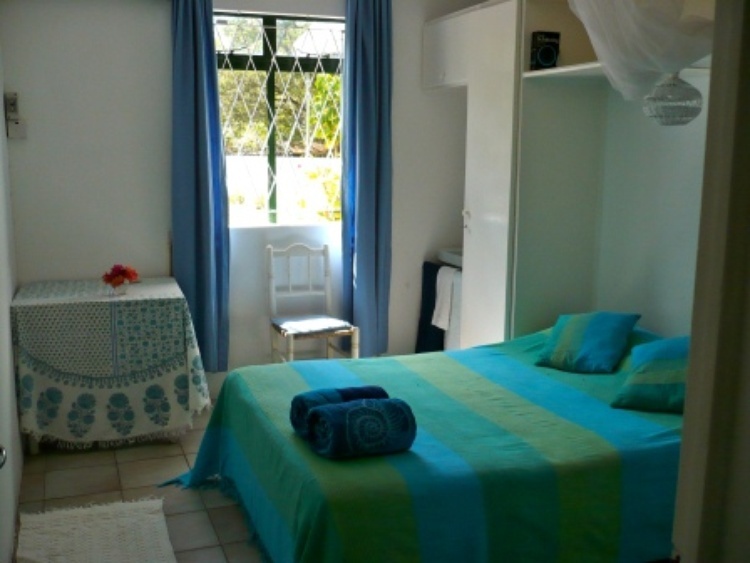 Bedclothes and towels are offered and a washing machine is available. The housemaid comes from Monday till Saturday (except public holiday) in the morning for 4 hours and does the housework for you; she also can cook nice local dishes for a surcharge of RS80 the hour (purchases not included). After a full day of sun and beach you can prepare your BBQ and enjoy your cocktail. 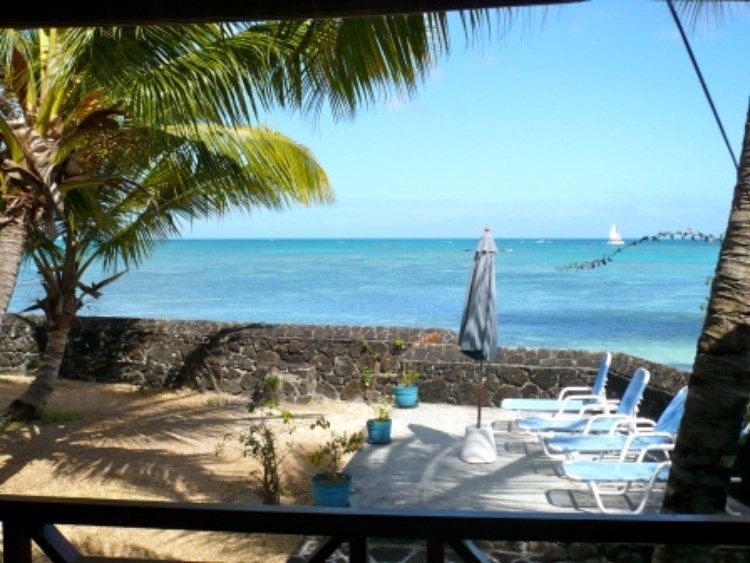 The sandy beach in front of the house is mixed with lava stones, nevertheless, during 2 walking minutes you reach a wonderful bay, ideally also for toddlers, because the sea is shallow and is protected by the reef. If your are able to cross the lava rock you can even walk on the sea side to Grand Bay.